Most of Raspberry like ARM devices have system image written to sdcard. Whenever we need to update base image we need to take out memory stick, write image and put it back. Now imagine that you have 8 boards and you want to update all of them (e.g your current system is crashing). So, you won’t do it manually, will you? In this article I’m going to present whole process of creating base image and installing it via network. I have automated process of imaging by witting goback. It works in similar way to expect language. You might ask “Why don’t you use goexpect?”. Answer is simple, it didn’t work for me in this particular case. Next step is to extract rootfs to raw image. Where can I find rootfs tarball? cd rootfs/ && tar -czvf ../fedora21.rootfs.tar.gz . You may also create your own minimal image with debbootstrap or pacstrap (Archlinux). When you are finished with creating your own rootfs umount and compress image. Now it’s time to build your own kernel. This operation is specific to boards. The kernel for odroid, wandboard, parallella will be very different but the process is almost the same. Vioula you have created your first fully functional base image! You’ve seen how much work you have to put in building your base image. But what if that process could be automated? Article #Embedded development with Qemu, Beagleboard, Yocto, Ångström, Buildroot. Where to begin? contains some useful IMO information for those who has never used it before. My forked version of buildroot contains some extra modifications for wandboard, odroid and parallella. If you have one of these boards you may use this repo, otherwise feel free to use mainline. How to compile kernel using buildroot? This method is obviously more convenient and faster than doing it manually. Uboot is primirary booltloader used with ARM boards. MLO and X-loader are oftenly used in omap boards. Either way you’ll need it. Buildroot is also able to compile uboot for you. Try it! “lightweight system image” = kernel + ramdisk containing very little of tools (such as curl, resize2fs, e2fsprogs etc). 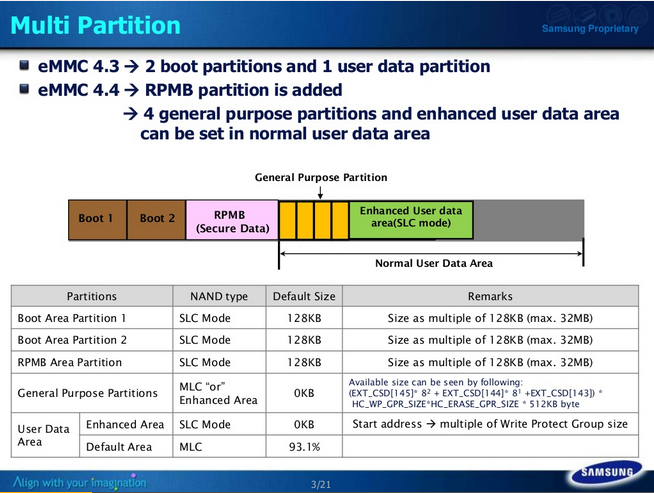 which contains thin kernel configuration for specific boards. As the output you will get zImage with merged ramdisk. Copy it to your tftp server. Uboot – odroid uses smsc95xx ethernet. As it came out, it uses common usb bus for communication. As hardkernel is using one uboot for each board type, they turned off ethernet for odroid u3. This file is a dts file which enables serial output. Executing above commands will load system in memory and run it. What these 0x4000000, 0x40008000, 0x2A00000 etc. adresses means? So let’s look at our configuration. Odroid U3 has 2GB of RAM memory. Where 0x40008000 address is pointing to? As you see, this address is pointing to approximately the middle of the memory. On the other hand parallella has only 1GB of memory an additional fpga binaries to load, so the address distribution looks fairly different. On 4GB RAM device, memory will be split in 3G/1G manner. Address distribution presented above is not a rule, but you may encounter this ratio very often. To put it all together I decided to create project named goback. The main idea is to automate imaging. Program uses serial console to interact with device. So it is extreemly important to have proper ttySAC0, ttyPS0, ttyS0 enabled. stEnterUboot enters uboot console, when “ModeKey Check…” text appears then it is a right time to send “enter” to stop countdown. When “Exynos4412 #” text appears it means that we are logged in console. stStartEthernet starts usbnet ethernet in uboot. When “1 Ethernet Device(s) found” appears it means that eth is ready to use. Important: tty.conf contains json map of ttyUSB for each machine. Don’t forget to modify it.